Dog joint supplement - advanced extra strength veterinary formulation with Glucosamine, Chondroitin and Turmeric which has been developed and approved by vets. Manufactured in the UK. 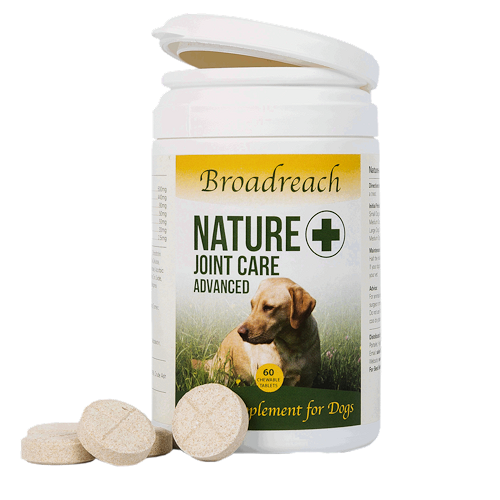 All Natural Ingredients including high levels of three antioxidants to assist in supporting canine joint care. 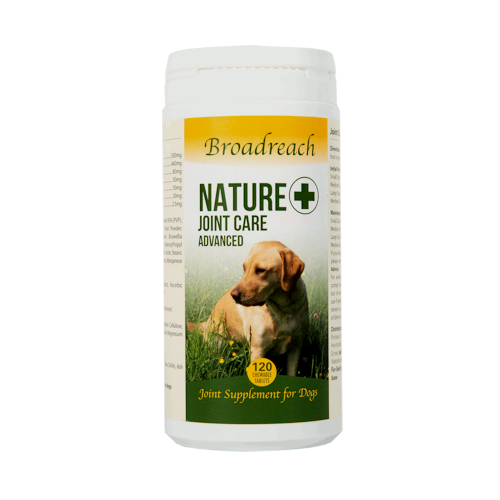 For any age dog who's mobility is compromised or has stiff joints or for general support and joint care to help maintain optimum joint health. With very high levels of three anti-oxidants and other benefitting agents this advanced specialist product has previously only been available in Veterinary Practices in the UK, now for the first time this specialist product is available to you! 3. 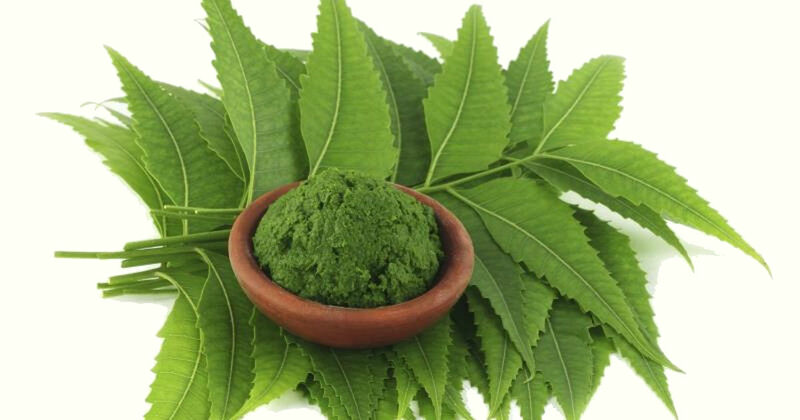 Includes Antioxidant agents. Sometimes pets in their senior years whether cats or dogs can get stiff and find it hard to get around. Designed to be some of the highest grade joint supplements/nutraceuticals on the market produced in pharmaceutical grade facilities. These ingredients include high levels of Glucosamine and Chondroitin but also with an extra special ingredient – Turmeric. Effective for any medium to large sized dogs, this product may help support and maintain health and mobility and assist in promoting good health and long life. This product particularly focuses on the joint, cartilage and synovial fluid areas to give support. Supplied as beef flavoured tablets, after the initial 6 weeks the amount given can be halved so allowing for long term usage where each pot will last twice as long.